Let's turn that boring backyard into an unforgettable experience. Some companies like to throw a pair of speakers on your deck and call it an outdoor audio system. What you end up with is a typical (and boring) outdoor experience. Your backyard doesn’t end at your grill , we don’t think your outdoor entertainment should either. Indoor TVs are designed for lower indoor brightness levels and often feature a high-gloss finish, which can make for a poor outdoor viewing experience. The completely weather proof SunBriteTV® Pro Series are built to withstand whatever Mother Nature can throw our way, and do it in stunning 4K Quality Video. Completely weatherproof and temperature-tested from -40° to 122°, SunBriteTVs can easily handle rain, snow, dust, insects, humidity, and salt air. SunBriteTVs come in many sizes and colors. From 32″-75″ Sunbrite has a TV that will fit in your backyard and budget. Contact VHI to find out more. Your picture shouldn’t suffer just because you decide on an outdoor TV. SunBriteTVs are up to three times brighter than a typical indoor television. Our selection of landscape speakers provide a superior landscape aesthetic enabling camouflaged speakers to evenly immerse a space with extraordinary sonic stereo performance. Bring Out Your Inner Disk Jockey. Don’t let the party die because you’re excusing yourself mid-conversation to change the radio station. We’ll install the same robust Wifi network in your outdoor living area as in your home. Now you’re in complete control over your music, playlists and more all from your mobile device in your pocket. You can even share the fun with your guests when they download the app. 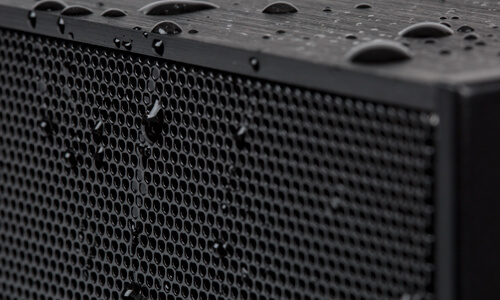 A true all-weather speaker can handle what Mother Nature throws at it. Still deliver crisp, clear audio in any temperature, and be mounted discretely in nearly any location. Perfect for patios. Planter speakers are exactly what they look like. 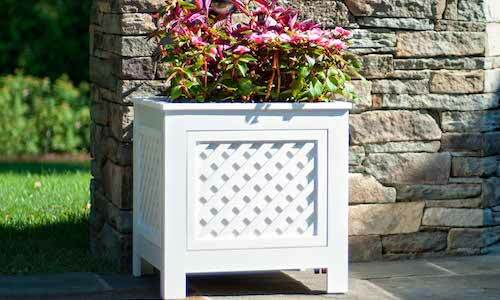 A great place to plant your favorite spring flowers and an even better place to hide a speaker. Installing an outdoor television? 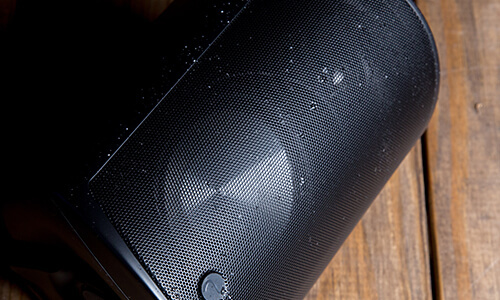 Go with a 100% weatherproof soundbar. Designed to deliver incredible sound to the outdoors in a discrete form factor. 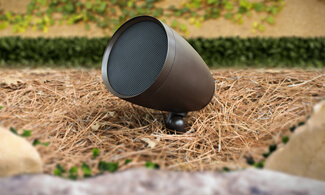 An outdoor speaker should be able to stand up to tough weather. That’s why this one was torture tested to extreme temperatures, from -20° to 185°Fahrenheit. 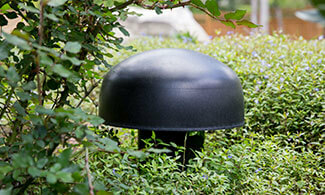 Increase the performance of your outdoor oasis by adding an in ground subwoofer to your speaker system. Equipped with a 12” woofer, it hits the low notes underground for earth-shattering performance. 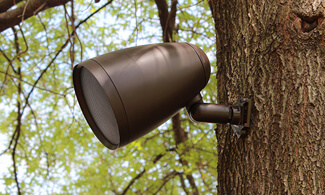 On the ground, in a tree, or underneath an eave – these speakers can be easily mounted in a variety of places for perfect coverage and performance. Looking for the ultimate in outdoor theater? Look no further than the “Solo” by Screen Innovations. The take it anywhere, battery operated, best in class home theater screen. VHI has it.